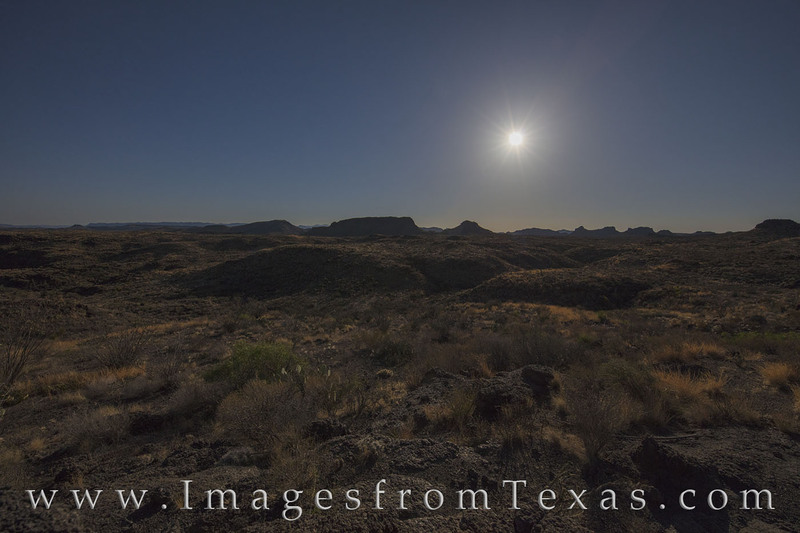 While hiking through the desert under the full moon, I decided to stop and use the light the moon to illuminate the landscape of Big Bend Ranch State Park. This area is rugged, and staying on the trail is necessary to avoid becoming lost. This image was taken on the Fresno Rim Trail facing west as the moon began its descent behind the distant mountains.